Can't wait to see before and after pics. I hope the pain will fade at wheels up. One advantage (albeit extremely rare) to an old whiskey compass is if in imc and you loose EVERYTHING, you can head south and the leading response to a turn will be exaggerated, theoretically enabling you to keep wings level. Don't know if a card compass is similar? At least the logs are complete. Agree with it not going through the wall ( tail support ). Unless it's one of those rare aircraft carrier Mooneys. This has great simulator potential. I bought an E in 1978. There was no internet (Mooneyspace) or wise old aviators to enlighten me so I was on my own. The salesman assured me the airplane purred like a kitten and was in great shape. First annual was 1/3 of the purchase price. The engine case was cracked, tanks needed reseal, etc. Not relating my (in)experience to discourage you or scare anyone else, but if I were to do it again, this forum would be my best freind. Good luck, enjoy the hunt, every plane you research or look at will give you a better understanding of the intricacies of these magic machines. Welcome Cliff, You've come to the right place - the freely shared knowledge here is amazing. You may want to introduce yourself in an introductory post in General Mooney Talk. Like you, I'm trying to get back into flying after too many years away. I wish I had this forum in 1978 when I purchased my first Mooney, a 1964 M20E. She needed a lot of fixing that I didnt see because I was ignorant of the correct purchase process so I spent a lot of time and money making her right and not flying. If I do find myself looking to purchase again I will be relying heavily on this forum for accurate, honest (sometimes brutally) info. I dont know about you, but that's exactly the type of info I want when I'm spending money. Stick around, search the forum, post some pictures, take us along on your adventure. You'll learn a lot and so will we - a wood wing Mooney - very interesting! Good luck! I wouldn't hesitate buying a j-bar airplane for a second. The only "problem" I ever had was when a box of cookies found it's way between the seats when on the ground. It made for an ungraceful takeoff but that was it. After that, the "C" in CIGAR meant "controls" and "cookies". Thank you all for the nice welcome. I propose a prune juice toast to all the wonderful wives that accommodate and encourage the dreams that keep us going. 1964-M20E thanks for the link to my old airplane - what a hoot! I can't tell if the curtains are still there. I bought a 1963? Cessna 150 in 1976 and learned to fly it at 4B9 Simsbury CT. Zero aviation history in the family - in fact neither of my parents had ever flown! 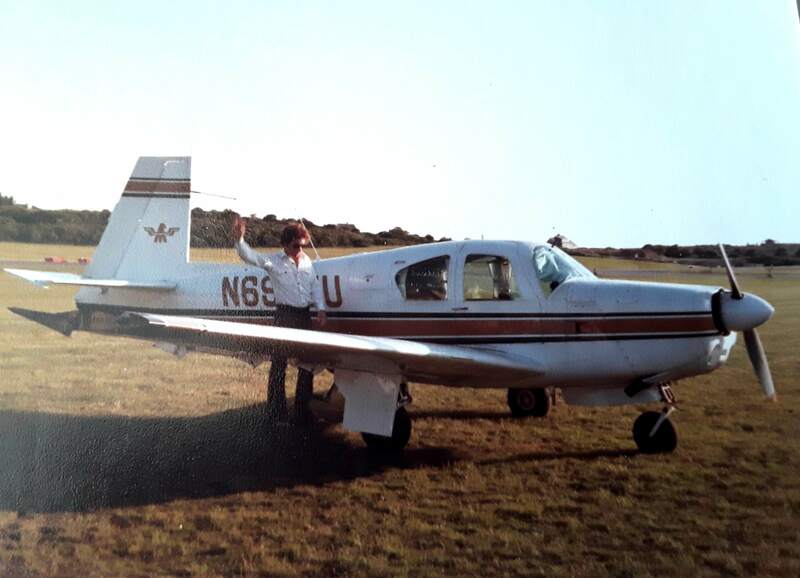 After a few years of VFRing around New England and Long Island Sound, I got Mooney Fever and sold N60619 for $200 more than I paid for it after putting a few hundred hours on it. Wow, this is easy! I'm willing to bet a $100 cheeseburger that I would win the worst Mooney purcha$e ever in this forum. I was young and there was no internet. Besides, it had curtains! I'll leave the gruesome story for another day though and rest assured after fixing everything, our Mooney Days were some of the best memories in our lives. Taking off from 4B9 with snorkels and fins in baggage and snow drifts beside the runway was priceless. The next day we were snorkeling off the front porch in the Bahamas. We now live in Pagosa Springs, CO under the downwind to base turn for 19 at PSO. It's a beautiful airport, elevation is 7600. My wife always wanted to live in Colorado and it is beautiful here, but I'm cold and we're still renovating the house after two years of intense labor. But we're almost done and I don't know why (smart enough to not ask), but a while ago my wife just, I mean she just said it, like out of nowhere "why dont you get an airplane, we can afford it?" I'd totally dismissed the idea when we had kid$. They're grown now and part of all this is one is a 5 hour drive away, the other 4. I dont have my logbook. I'm old. I still have a bathroom to remodel. But I did see the AME yesterday and came away encouraged though more paperwork is required. Wish me luck. Thanks for being here, it's a wonderful forum.